Rich was born in Cherokee, Iowa, in 1958. He graduated from Iowa State University in 1980 and Drake University Law School in 1983. 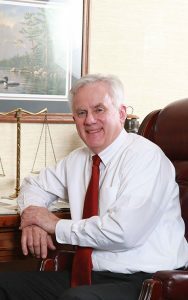 He is licensed to practice in Iowa, United States District Courts (Northern District of Iowa), and the Eighth Circuit Court of Appeals. He is a member of the Cherokee County, Iowa State and American Bar Associations.